01. 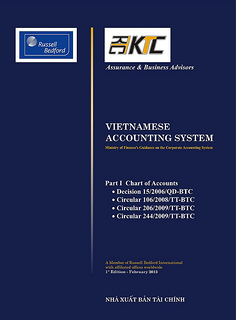 This standard aims to prescribe and guide the principles and method of accounting the inventories, including: determination of the value of inventories and accounting it as expense; the marking-down of inventories to suit the net realizable value and the method of calculating the value of inventories to serve as basis for recording accounting books and making financial statements. 02. This standard shall apply to accounting inventories on the original price principle, except when other prescribed accounting standards permit the application of other accounting methods to inventories. c/ raw materials, materials, tools and instruments for use in the process of production and business or provision of services. Net realizable value means the estimated selling price of inventories in a normal production and business period minus (-) the estimated cost for completing the products and the estimated cost needed for their consumption. Current price means a sum of money payable for the purchase of a similar kind of inventory on the date the accounting balance sheet is made. 04. Inventories are valued according to their original prices. Where the net realizable value is lower than the original price, they must be valued according to the net realizable value. 05 The original price of inventories consists of the purchasing cost, processing cost and other directly-related costs incurred for having the inventories stored in the present place and conditions. 06. The purchasing cost of inventories consists of the buying price, non-refundable taxes, transportation cost, loading and unloading cost, preservation cost incurred in the buying process and other costs directly related to the purchase of the inventories. Trade discounts and reductions in the prices of purchased goods due to their wrong specifications and/or inferior quality, shall be deducted from the purchasing cost. 07. The processing costs of inventories consist of those directly related to the manufactured products, such as cost of direct labor, fixed and variable general production costs incurred in the process of turning raw materials and materials into finished products. Fixed general production costs means indirect production costs, which are often invariable regardless of the volume of manufactured products, such as depreciation cost, maintenance cost of machinery, equipment, workshops… and administrative management cost at production workshops. Variable general production costs means indirect production costs, which often change directly or almost directly according to the volume of manufactured products, such as costs of indirect raw materials and materials, cost of indirect labor. 08. Fixed general production costs shall be allocated into the processing cost of each product unit on the basis of the normal production capacity of machinery. Normal capacity is the average quantity of products turned out under normal production conditions. - Where the quantity of actually-manufactured products is higher than the normal capacity, the fixed general production costs shall be allocated to each product unit according to actually incurred costs. - Where the quantity of actually-manufactured products is lower than the normal capacity, the fixed general production costs shall be allocated into the processing cost of each product unit only according to the normal capacity. The unallocated amount of general production costs shall be recognized as production and business expense in the period. The variable general production costs shall be entirely allocated into the processing cost of each product unit according to the actually incurred costs. 09. Where various kinds of products are manufactured in a single production process in the same duration of time and the processing cost of each kind of product is not separately expressed, the processing cost shall be allocated to those kinds of products according to appropriate and consistent norms in all accounting periods. Where by-products are turned out, their value shall be calculated according to the net realizable value and subtracted from the processing cost already calculated for the principal products. 10. Other directly-related costs shall be incorporated into the original prices of inventories, including costs other than the purchasing cost and processing cost of inventories. For example, the original price of finished products may consist of the product-designing cost for a particular order. 12. Service provision cost consists of personnel costs and other costs directly related to the service provision, such as supervision cost and related general costs. Personnel costs and other costs related to goods sale and enterprise management shall not be included in the service provision cost. 14. The specific identification method shall apply to enterprises having a few goods items or stable and identifiable goods items. 15. By the weighted average method, the value of each kind of inventories shall be calculated according to the average value of each similar kind of goods at the beginning of the period and the value of each kind of inventories purchased or manufactured in the period. The average value may be computed either according to periods or the time when a goods lot is warehoused, depending on the enterprise's situation. 16. The First-in, First-out method shall apply upon the assumption that the first inventories purchased or manufactured is the first inventories delivered, and the inventories left at the end of the period are those purchased or produced at a time close to the end of the period. By this method, the value of the delivered goods shall be computed according to the price of the lot of goods warehoused at the beginning of the period or at a time shortly after the beginning of the period, the value of the inventories shall be computed according to the price of the goods warehoused at the end of the period or at a time shortly before the end of the period. 17. The Last-in First-out method shall apply upon the assumption that the most recently purchased or manufactured inventories are delivered first, and the inventories left at the end of the period are those which are purchased or produced earlier. By this method, the value of the delivered goods shall be computed according to the price of the lot of goods warehoused most recently or shortly earlier; the value of the inventories shall be computed according to the price of the goods warehoused at the beginning of the period or shortly after the beginning of the period, which still remain in stock. 18. The value of inventories cannot be fully recovered when they become damaged, outmoded, their selling prices fall or the finishing and/or sale costs rise. The marking-down of inventories to the level equal to the net realizable value is compliant with the principle that assets must not be shown at a value higher than the realized value estimated from their sale or use. 19. At the end of the accounting period of the year, when the net realizable value of inventories is lower than their original price, the reserve for inventory price decrease must be set up. The amount of the to be-set up inventory price decrease reserve is the difference between the original price of inventories and their net realizable value. The inventory price decrease reserve shall be set up for each kind of inventories. For services incompletely provided, the inventory price decrease reserve shall be set up for each type of service with different charges. 20. The estimation of the net realizable value of inventories must be based on reliable evidences gathered at the time of estimation. Such estimation must take into account price fluctuations or costs directly related to events occurring after the ending day of the fiscal year, which have been anticipated through conditions existing at the time of estimation. 21. When estimating the net realizable value, the purpose of the storage of inventories must be taken into account. For example, the net realizable value of the inventories reserved to ensure the performance of uncancellable sale or service provision contracts must be based on the values inscribed in such contracts. If the volume of inventories is bigger than that of goods needed for a contract, the net realizable value of the difference between these two volumes shall be appraised on the basis of the estimated selling price. 22. Raw materials, materials, tools and instruments reserved for use in the manufacture of products must not be valued lower than their original price if the products which have been manufactured with their contributions are to be sold at prices equal to or higher than their production costs. Where there appear decreases in the prices of raw materials, materials, tools and/or instruments but the production costs of products are higher than their net realizable value, the raw materials, materials, tools and instruments left in stock may have their value lowered to be equal to their net realizable value. 23. At the end of the accounting period of the subsequent year, a new appraisal of the net realizable value of inventories by the end of such year must be conducted. Where at the end of the accounting period of the current year, if the to be-set up reserve for inventory price decrease is lower than the inventory price decrease reserve already set up at the end of the accounting period of the previous year, the difference thereof must be added thereto (under the provisions in paragraph 24) in order to ensure that the value of inventories shown on financial statements is computed according to the original price (if the original price is lower than the net realizable value) or according to the net realizable value (if the original price is higher than the net realizable value). 24. When selling inventories, the original price of goods sold shall be recognized as production and business expense in the period in consistence with the recognized turnover related thereto. All the difference between the higher inventory price decrease reserve to be set up at the end of the current year's accounting period and the lower inventory price decrease reserve already set up at the end of the previous year's accounting period, volumes of damaged and lost inventories, after subtracting the compensations paid by individuals due to their liabilities, and unallocated general production costs, shall be recognized as production and business expense in the period. Where the inventory price decrease reserve to be set up at the end of the current year's accounting period is lower than the inventory price decrease reserve already set up at the end of the previous year's accounting period, the difference thereof must be added and recorded as decrease in production and business expense. 25. Recognition of the value of goods sold as expense incurred in the period must ensure the expense - turnover matching principle. 26. Where some kinds of inventories are used for manufacture of fixed assets or use like self-manufactured workshops, machinery and/or equipment, the original price of these inventories shall be accounted into the fixed asset value. f/ The book value of inventories (the original price minus (-) the inventory price decrease reserve) already mortgaged or pledged for payable debts. b/ The period-end current value of inventories on the date the accounting balance sheet is made (if this value is lower than the net realizable value); or, and the net realizable value (if the period-end value of inventories which is calculated according to the net realizable value is lower than the period-end value of inventories which is calculated according to the current value on the date the accounting balance sheet is made). 29. Presentation of inventories costs in the reports on the production and business results, which are classified functionally. 30. Functional classification of costs means that inventories are presented in the section “Original price of goods sold” in the business result reports, including the original price of goods sold, the inventory price decrease reserve, damaged and lost volumes of inventories after subtracting the compensations paid by individuals due to their liabilities, and unallocated general production costs.